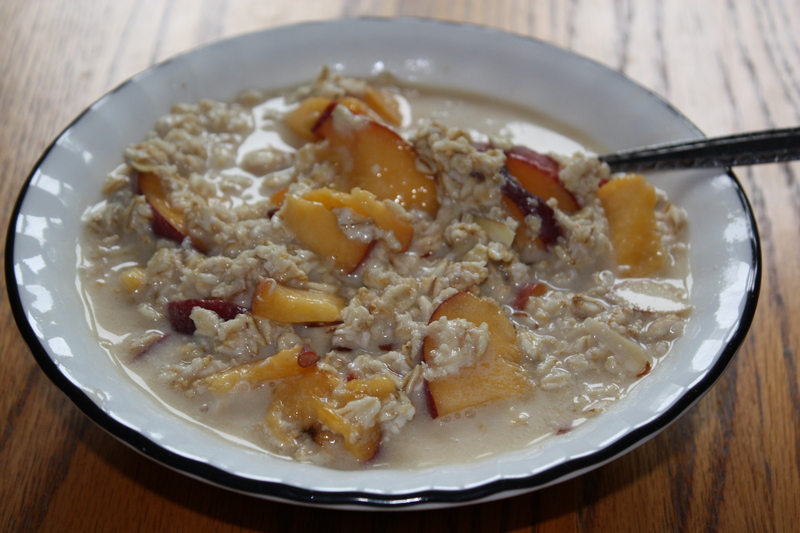 3/4 c. rolled oats soaked in water 12-24 hours with some whey (to break down phytates) In the morning rinse and drain. Combine all ingredients and mix. Serve Raw.